Dance Marathon Involvement: Executive Director of the inaugural Saint Joseph’s University Dance Marathon in the fall of 2016 and 2017. Dance Marathon is something I’m incredibly proud of. Dance Marathon came into my life at the perfect time. When I was invited to my first Dance Marathon as a Miracle Kid, I didn’t understand why there were hundreds of college students dancing in tutus. In the spring of my first year in university, Dance Marathon saved me. Saint Joseph’s University Dance Marathon’s 2016 fundraising total benefitting Children’s Hospital of Philadelphia. Dance Marathon taught me that it is important to feel connected to your work, but it is more important to use that passion to drive toward an end. For example: going into DM was really scary. It wasn’t just me fundraising peer-to-peer anymore. There were 13 people who looked to me for guidance, and I didn’t have the answers all of the time. Passion drove me to find those answers. I’m not always comfortable asking for help, but I couldn’t do this alone so that passion drove me to do just that. I asked anyone I could for help with financial support for lighting equipment, sponsors to donate enough food to feed 300 people for 12 hours. With a new event and new team, things change very quickly. In the beginning, we lost team members frequently. When our PR director left and no one else was comfortable with graphic design, that passion drove me. I had no idea where to start, so I downloaded some design software and absorbed her tasks. Because my end goal was a successful event, I was willing to give up anything for us to give this special gift to our local CMN Hospital. 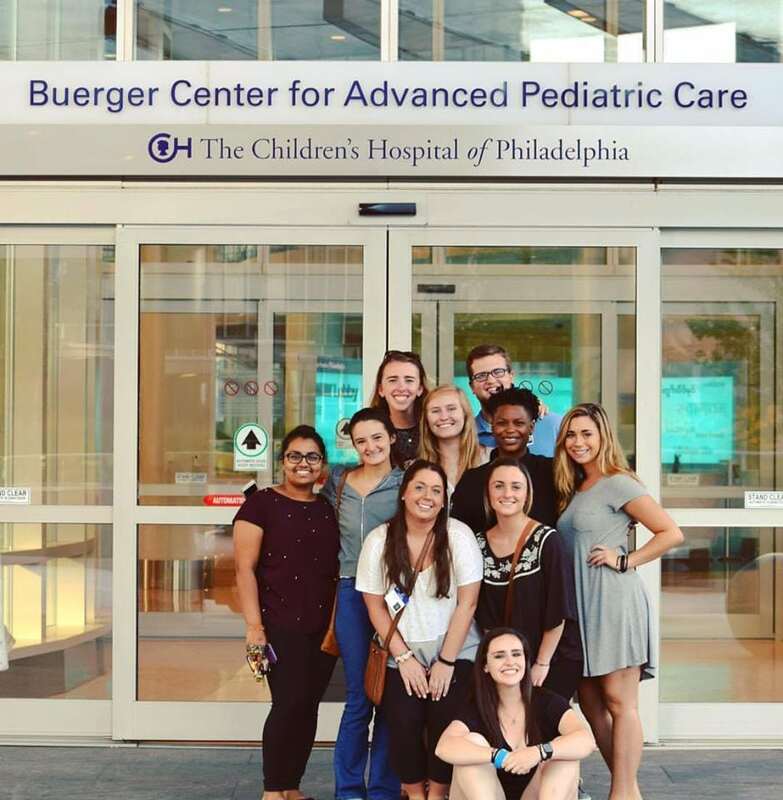 SJU DM leaders on a tour of Children’s Hospital of Philadelphia. I participate and give my all to Dance Marathon because it is the most important thing to me. DM has given me an opportunity to tangibly support the hospital that saved my life. It’s even more amazing to see other students at my university gain the passion For The Kids that I have in my heart too. I participate in Dance Marathon because all kids deserve to dream. It’s one thing to see the difference of a dollar in a children’s hospital. It is a much different experience to feel the impact of those dollars. I’ve felt the impact of those dollars and I am committed to my part in making sure all kids get the opportunity to dream. 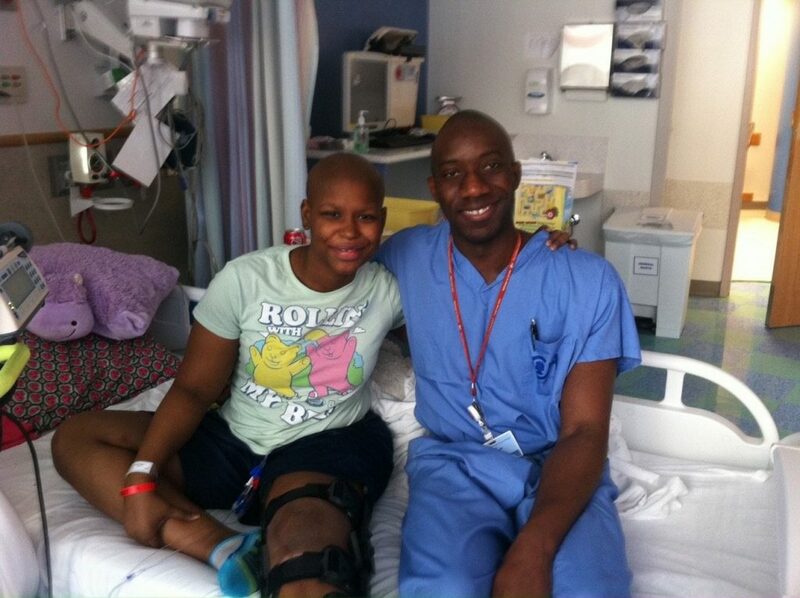 Simmons during her treatment at Children’s Hospital of Philadelphia. Students should join Dance Marathon because of how powerful the movement is. Dance Marathon has something to offer for everyone, as long as the end goal is supporting children’s hospitals. In the first stages of SJU DM, I looked to my friends to embark on this huge venture. Most people realized how huge of a task it would be and said no. I had a friend who was an accounting major, who was interested in our Finance position. She didn’t have any attachments to Dance Marathon, but took a shot. Together, we were able to put on a great event and gain 13 best friends. That seems silly, but I didn’t expect fundraising for my local CMN Hospital to lead to so much greatness. Ultimately, students should get involved to be part of something so much larger than themselves. DM isn’t for your personal growth — you don’t become a part of it to become inspired. DM has taught me to both inspire and be inspired. The inspiration stems from seeing kids who have no reason to smile, but choose to anyway. It’s about being able to give another person a reason to smile. It’s inspiring to realize that as an inexperienced 18-year-old, you are still able to offer something to the world. I’ve never encountered a similar student org. People should donate to their local CMN Hospitals because it’s one of the best places you can invest your money. If that’s not enough, donate because the person in the hospital receiving a cancer diagnosis did not ever think this would happen to them the previous day. No person wants this for a child. Because of donations to my children’s hospital, I was able to have one of the best children’s hospitals in the nation 20 minutes from my home. Because of those donations, I was able to Skype into my classroom with a computer provided by the hospital and graduate on time. That computer was the resource for avoiding a delayed graduation due to my diagnosis. Because of those dollars, I was able to dream. I live and breathe Dance Marathon so all kids can have the resources to dream, regardless of having to be in the hospital. After witnessing a rare genetic mutation take the lives of her mother and sister followed by her own cancer diagnosis, Court Simmons knew it was time to give back. 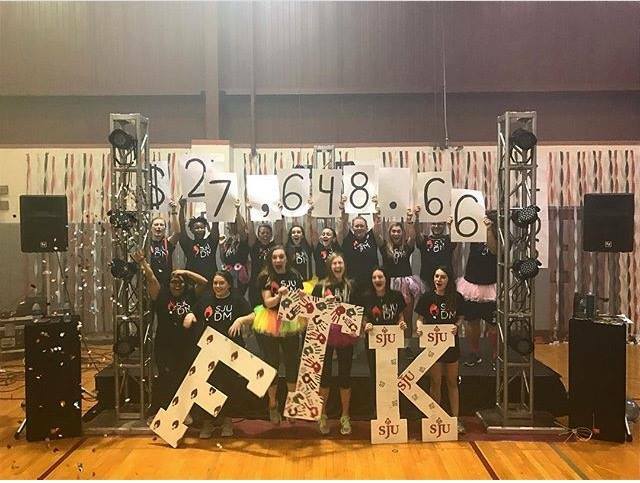 Watch her touching story and join us in wishing luck to Saint Joseph's University Miracle Network Dance Marathon as they embark on their first event. 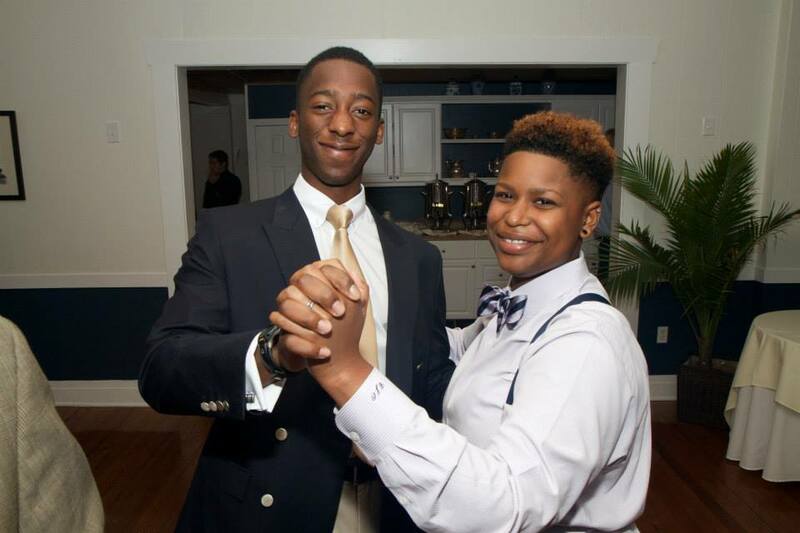 Simmons and her younger brother, Reggie.